Note from Mark Chu-Lin & CCG Command: "If people signed up for the Modesto Light Parade, I ask them to honor their commitments. I discussed this with Thayne about a month ago. Between folks who are in the Modesto and the Sacramento regions, we believe there are enough people to support both parades." Parade starts at the Gold Country Fairgrounds and ends in downtown Auburn. Staging is at the upper parking lot at the fairgrounds. 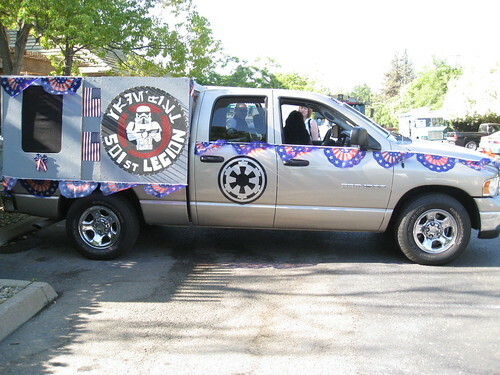 Mark from the Central California Garrison has invited us to participate in the Auburn Festival of Lights Parade. The garrison parade vehicle will be used for this event.